Some of you eat dairy, some of you do not. That’s cool. 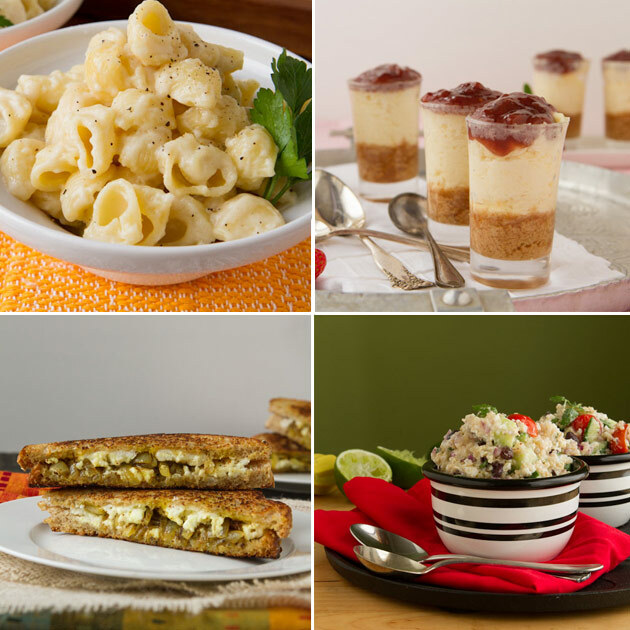 Every month, I create 4 new recipes for Happy Days Dairies. Last month, I shared the 4 recipes with you and also gave you tips on how to shift a couple of ingredients around to make them into dairy-free recipes. You all loved the first post so very much that I’ve decided to make this a monthly thing. 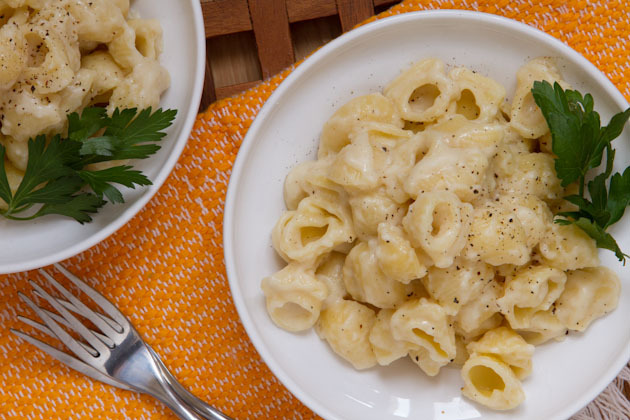 Thick and rich cheddar cheese sauce… perfect for a big bowl of fresh cooked pasta! Dairy-free alternative: stay tuned this week. I have a solution to all of your cheese sauce woes. 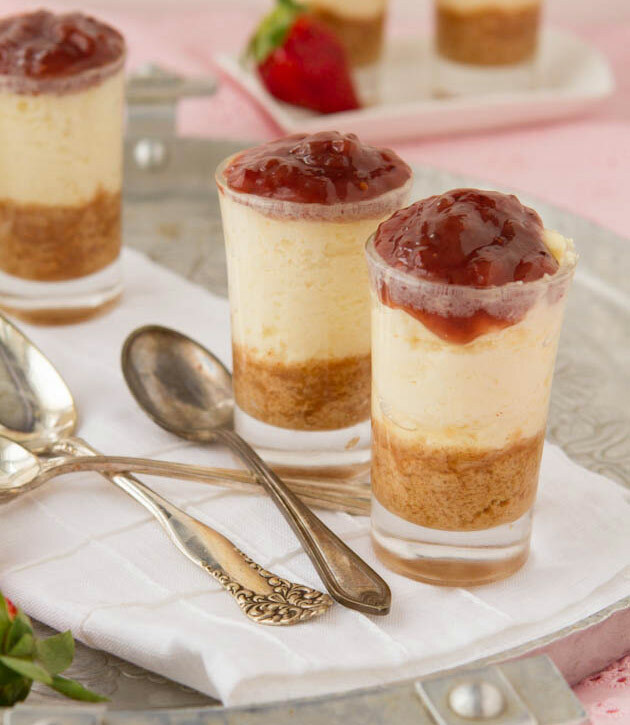 Mini strawberry cheesecakes made in shot glasses to control portion size… and to feel cute while eating them! 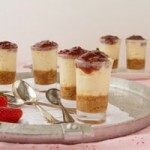 Dairy-free alternative: stuff my vegan cheesecake in shot glasses and call it a day! To make things easier, you could use a fruit spread topping like in the Happy Days recipe and ditch the cranberries. 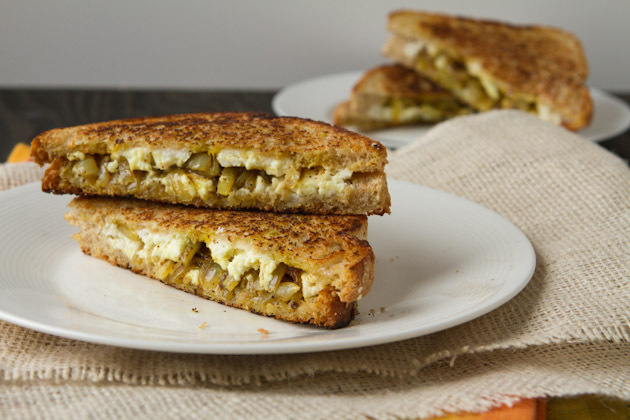 Curried onions, mayonnaise and goat cheese in a grown up style grilled cheese. Dairy-free alternative: your best bet is to use a dairy-free cheese like daiya vegan cheese or make your own vegan shredded cheese… but it will not be melty. 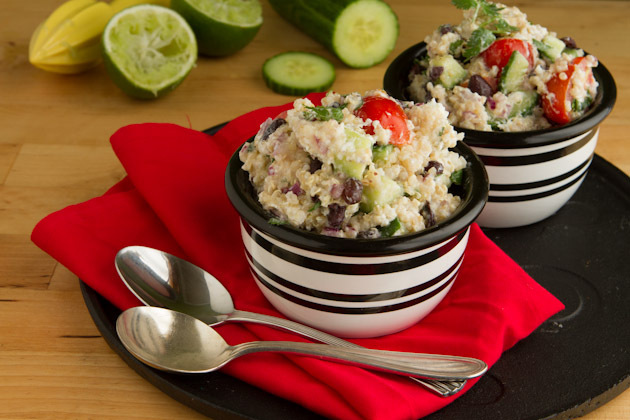 A fresh and light salad packed with high protein quinoa, black beans and fresh veggies, surrounded in a creamy goat cheese and lime dressing. Dairy-free alternative: remove the goat cheese all together and just have this salad with olive oil and lime juice. Still so VERY good! Or, do you let your body be your guide and just eat what you feel you need to? Your wisdom and experience can make a huge difference for others… so share away!